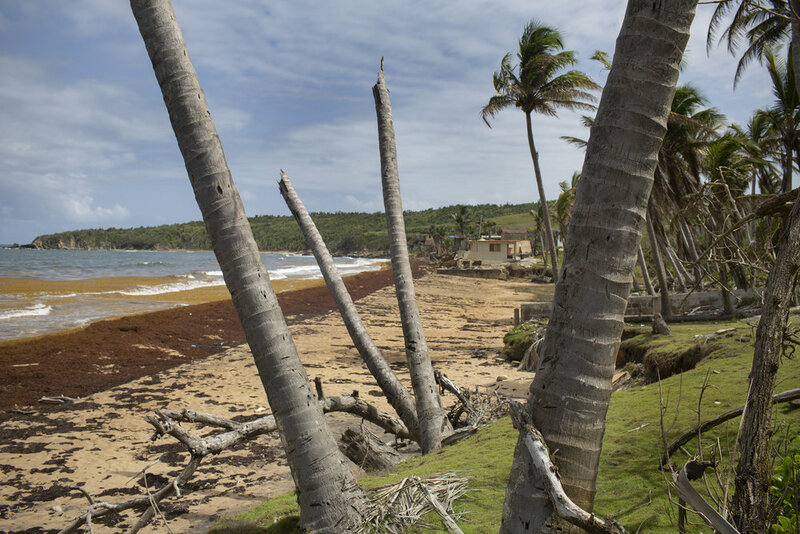 In the midst of disaster, the residents of Puerto Rico have become subjects of catastrophe. More often than not, photographs of them are monolithic depictions of resigned spirits against the backdrop of their cities turned to rubble. Over the course of four years, during my summer visits, I would try to work against this aesthetic; to transcribe the stories of everyday people and attempt to show a more nuanced observation of an incredibly complex place. 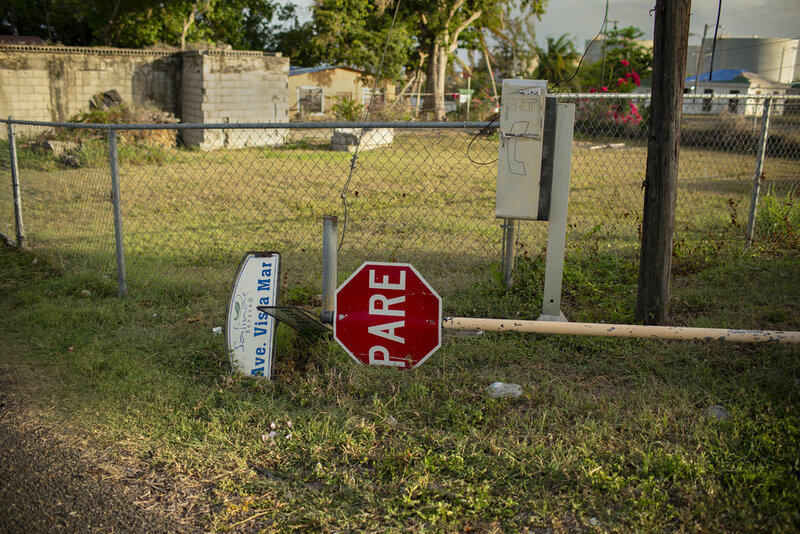 After the hurricanes, I came to realize that this was difficult for me as both a photographer and a Diasporican— whose identity oscillated in between the locus of a place I only visited and an imaginary drawn from my family's memory. Most of the images that flooded the public after the storms, centered the voices of outsiders, mediating and co-opting the experiences of those living on the island. Though I feel it is critical to speak out about Puerto Rico, the only photographs I am able to make are ones that come from my lived experience in the landscape, the people I know and the things I see which have been a continuing education. If there is power in the reproducible image, it is not in its authority. It is in its ability to continue; to transcend its temporality, into present conversations. I set off one weekend to drive up the eastern coast of the island, through Humacao, Yabucoa and into Salinas. Friends of mine had a family member who had recently passed away, and I wanted to visit their former hometown as a way of paying respect. The only reference I had for what I would see made me recall the first time I walked through a street in Baltimore that wasn't near my safe, well-appointed college dorm room. Passing stoops that were neighborhood meeting places, concrete steps that once ushered local gatherings, sidewalks that were once teeming with families...empty...as if a bomb had gone off in the middle of the city. To visit Yabucoa in the summer of 2016 but, then to return in 2018 after the storms, felt similarly eerie. 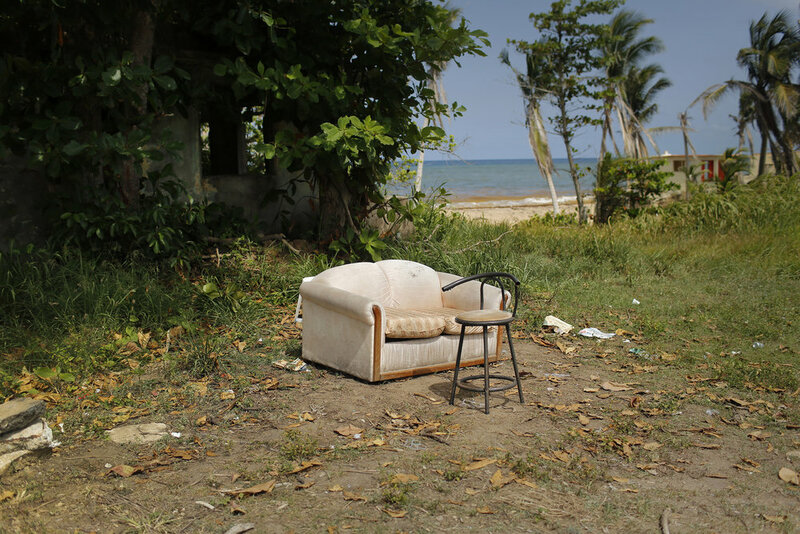 The quiet ruin was not one of dystopian sublime, but one of state violence and neglect; where the furniture that belonged to former residents in destroyed homes now served as markers to the properties soon to be purchased by developers. Where the palm trees that once stood tall with fronds above the lapping waves, were stripped bare to remind us that storms, both man-made and natural, decide what lives and die in their grasp.